If they can't deliver this technology to us in thirty minutes or less, will it be free? 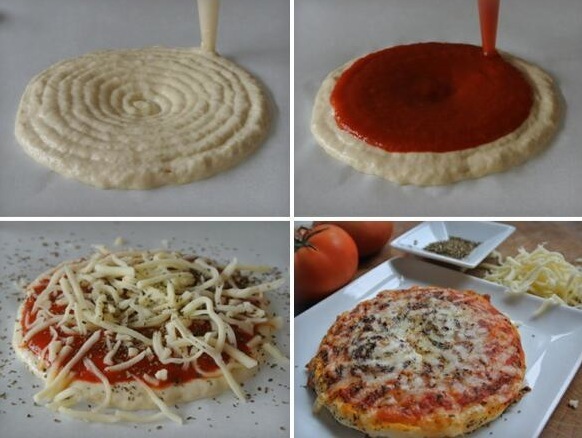 Yes, we finally have 3D printed pizza. That’s right, everyone can relax now and stop working on the 3D printing technology. It has reached its ultimate goal. Wait, you should probably keep working on it, because the cheese and spices still had to be added after the fact. Or because the technology might just be super useful. Whatever. This new printed pizza has a more appetizing appearance than the one that debuted a few months ago by Anjan Contractor. For this one, the dough and sauce for the pizza were printed by the Foodini, which is a 3D printer made by Natural Machines specifically for printing food. While it’s disappointing that we’re going to have to wait a little longer before we get this thing printing all parts of the pizza, Contractor’s 3D printed pizza had all of its ingredients come from the printer, so it’s certainly possible. Maybe the two companies should get together and give the world all of the delicious future-pizza technology it can handle. Printers print pizza and robot hearts pump urine? What is even happening?